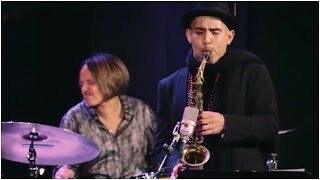 The Berklee Global Jazz Institute (BGJI) is a performance program designed to foster creativity and musicianship through various musical disciplines, with pianist and composer Danilo Pérez as its founder and artistic director. The BGJI provides a comprehensive contemporary music environment where students are given opportunities to explore their creativity to the highest level possible, advance the power of music as a tool for the betterment of society, and connect musical creative thinking with the natural environment. Learn all about the BGJI application requirements. Send your questions directly to the BGJI. 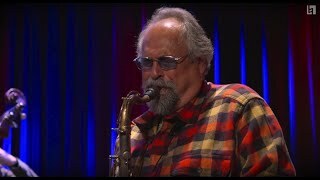 Berklee Global Jazz Institute graduate and undergraduate students perform 'Topsy Turvy' with BGJI faculty member Joe Lovano '72. The Jazz 100 performs 'Off Minor' by Thelonious Monk. 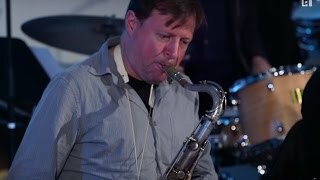 Berklee Global Jazz Ambassadors featuring faculty member Terri Lyne Carrington '83 perform her original 'Insomniac' live at Dizzy's Club Coca-Cola. The Grammy Award–winning pianist and composer Danilo Pérez is among the most influential and dynamic musicians of our time. In just over a decade, his distinctive blend of Pan-American jazz, covering the music of the Americas, folkloric, and world music, has attracted critical acclaim and loyal audiences. Marco Pignataro is a multi-talented saxophonist, composer, educator, and jazz columnist. A native of Bologna, Italy, Pignataro has performed extensively across Europe and the Americas. Pignataro has served as the director of the Jazz and Caribbean Music Department and Jazz Saxophone chair at the Conservatory of Music of Puerto Rico.